Living by my brother and his family has been so great. 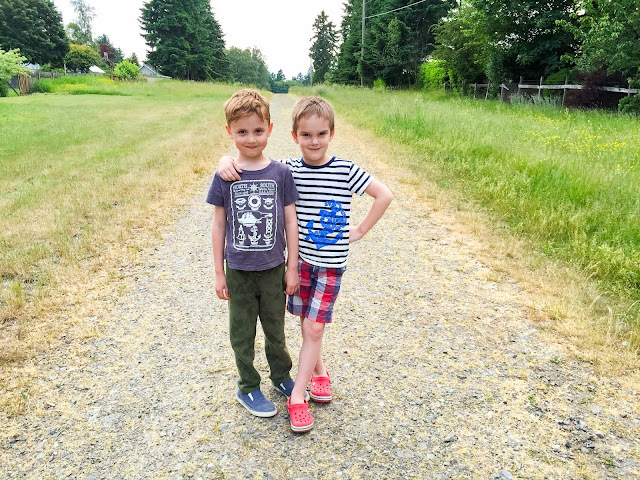 It was our driving factor for this move to Seattle and it has proved to be excellent. We have had lots of Sunday dinners and dates and fun, classic cousin time. 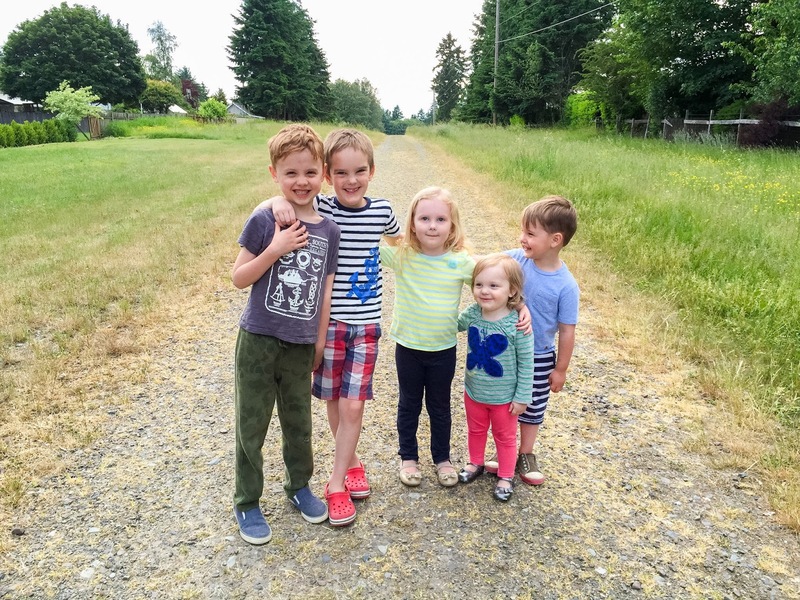 It was a dream of mine for many years to raise my kids with their cousins and my brother and sister-in-law's three children are all the same ages as mine (well, within a few months anyway). It has been so great to see them forge friendships. I also happen to love my brother and sister-in-law as well so it's a win-win. 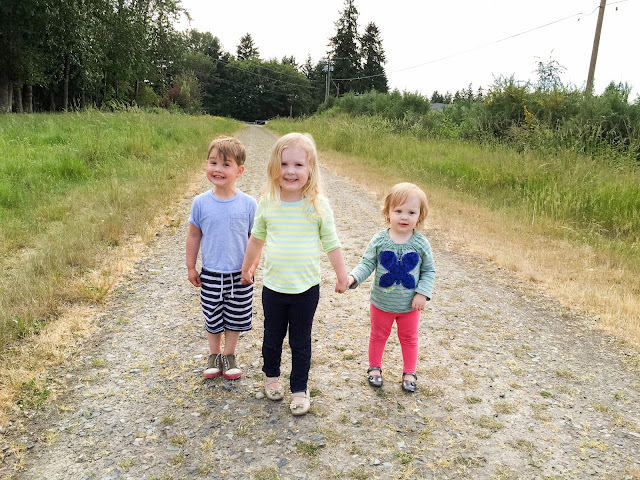 We had their family over for dinner on Sunday and took a walk on the trail behind our house. It was such a lovely evening. The summer light is crazy but so great for entertaining! The kids road scooters and we ate popsicles and the kids didn't want cousin time to end. Just the way Sunday dinner should be! Fun! Speaking of dinners/food...might I entice you to do a post telling us how you go about not wasting food? I know you like to use a lot of fresh food in your cooking, and I am wondering how you utilize it all. I recently made something that called for some red cabbage- well, I made it, it was great, but now I have half a head of red cabbage, and I am not quite sure what to do with it. I don't want to make the same thing again, but I don't want the produce going to waste either!